Heavy duty DPF maintenence is an essential service requirement for the efficient and trouble-free operation of today's modern engines. The Hartridge DPF 300 Master Series of products uses proven patented technology to remove virtually all soot and ash in order to restore the function of clogged DPFs and restore exhaust backpressure to its original specifications. The success of the cleaning process using the DPF 300 Master and DPF 310 Master can be fully tested using the DPF 320 Master flow meter. For any DPFs that have become severely blocked with compacted soot the DPF 330 Master can thermally regenerate the DPF to loosen ash and combust the soot. 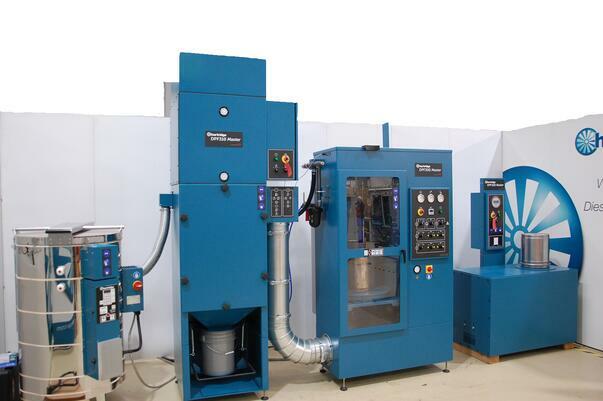 It can easily and safely be emptied so that DPF performance is fully restored.